Which are the Multi Million Dollar Bloggers? Well, these are the points which are come in my mind before writing this article, but now all are clear, you can also clear your doubts and queries after reading this post. So if you want to know how these people can earn from their blog and which are the top and popular millionaires companies of 2014. Than you have to read this post. Copyblogger is one of my favorite blog. You can also surf on this blog and find innovative tips and techniques for your blog. This blog is specially designed for building effective content and how to boost up your blog in market. Copy Blogger was developed in January 2006. The founder of this blog is Brian Clark. Those who like eye catching article and money making articles they can read this blog. I am sure you will like this blog. You can learn how to drive traffic, killer online content, how to build your traffic etc. Basically this is a one man blog but by the time passed, soon it will become an multinational companies and today more than 115,040 unique customers were engage with this MNC's. The another blog is Gawker which is founder by Nick Denton in 2003 and it is based in New York City. This blog offers news and gossip on “all things Manhattan”. It basically focuses on the social media, and celebrity industry. Their is a full proof team is behind this blog which work properly and gives the latest updates in the field by blogging. The team and the experts who handle this company is Max Read (editor-in-chief), Tom Scocca (features editor), Jason Parham (senior editor) and so on. 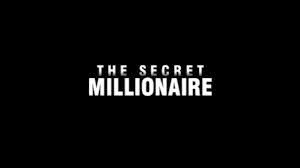 This is one of the most financially successful blog in this entire world. If we talk about Millionaire companies than how can we forget the Mashable. As we all know mashable is one of the popular entertainment site, personally it is my favorite blog and i usually check this blog daily. This blog was founded by Pete Cashmore in the year of 2005. Mashable is considered one of the best and popular websites and blogs for social media networking, and also it is one of the largest websites in the whole world. And the shocking news is monthly income of this blog is $560,000. This blog is basically designed which focus on the social media and entertainment news. If you are a newbie blogger than you can learn new things on this blog. It was the new blog to me also. Rarely I found this blog on web. It is the amazing fun blog. 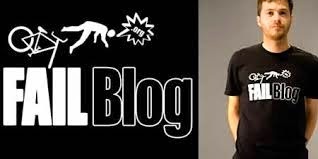 The blog name is fail blog but it is opposite of that, it is one of the famous and popular blog itself. Basically it was a comedy based blog. The founder of this blog is Ben Huh and it was created in the year of 2008. The main features of this blog is comedy mishaps, and acts of stupidity in photo, pictures and video form. Fail blog was only a 5 month blog and it became an popular one. It is sold to the popular “Cheezburger inc” company. The income of this blog comes from advertising, investments, and also it having an huge traffic regularly. There are more than 2 million visitors every single month, plus they also launched their book in 2009, which is still selling in all over the world.